Daylight Saving Oils - Bergamot - Amphora Aromatics Ltd – Supplier of pure essential oils and aromatherapy Products. All this week we’ve been looking at essential oils that can help to lift the gloom caused by the winter blues. 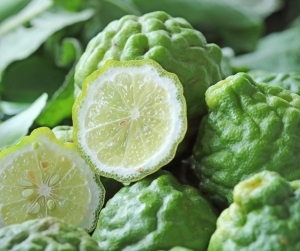 Today we feature Bergamot for its ability to uplift and reassure. Click to learn more. Bergamot is one of the most renowned oils in aromatherapy for treating negative thoughts and bouts of depression. It’s sweet, refreshing & citrussy scent will help to bring light into your life. It can help promote mental clarity, uplift spirits and ease away symptoms of stress. It's also one of my very favorite oils, partly because it has such a gorgeous aroma and so many uses, partly because I love how such an ugly fruit produces such a beautiful oil! This simple yet effective blend will offer great comfort during colder months and darker days. You can try adding 2 drops of Chamomile Roman to the blend if diffusing before bed time to help induce a good night’s sleep. 2 drops Clary Sage – known to be a soothing and calming oil for both mind and body. Its scent is thought to assist with hormonal imbalance which is another effect the lack of sunlight can have on our bodies. Such imbalances can have direct effects on our mood and emotions. 3 drops Bergamot – Bergamot oil has a wonderful way of bringing about feelings of self-acceptance, self-worth and self-love. Its natural sedative effects make it helpful in calming the mind and aiding a restful night’s sleep. Add to a hot bath (it’s a good idea to dilute the oils in a tablespoon of milk first as this helps them to disperse in the bathwater) or burn or vaporise to spread the uplifting aromas and help clear away negative thoughts.